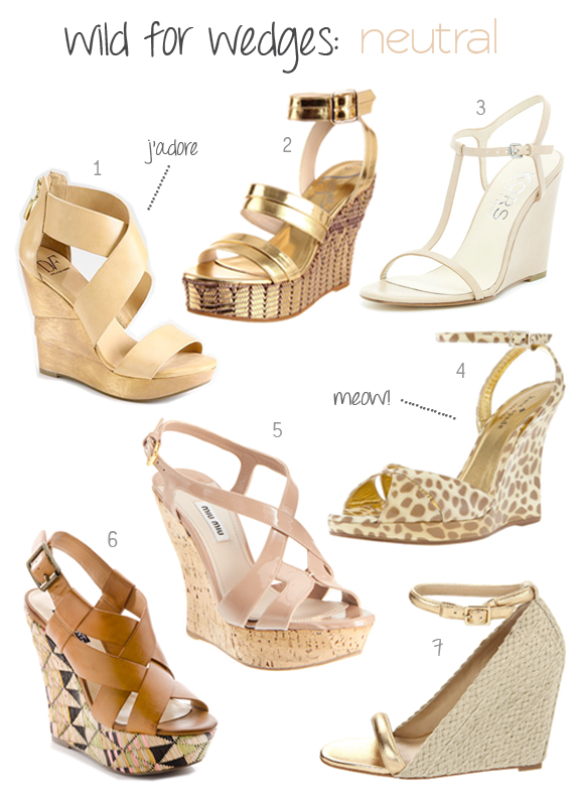 I adore a good wedge sandal, especially since you can wear it with a multitude of clothes. Causal or dressy, wedges are a versatile shoe that can take you effortlessly from day to night. It also gives you that height I love without compromising on comfort (for the most part). I think all women should have at least two three kinds of wedges (although really, who could stop at just a few? ): a neutral one, a coloured one, and a pretty print one. With so many different styles to lust after this summer, my feet are simply demanding to look this good. Really beautiful, ready to Valentine's Day, going to buy copies of jewelry for my girlfriend, give her a surprise, she is more like Swarovski Bracelets, but the style is too much, I do not know to pick that paragraph, you give points.